In this bike pic, this family knows where the shaded lanes are in St. Paul, MN to stay cool. Dressed in matching tie-dyed T-shirts they ride along Summit Avenue, with its tree lines canopy of protection from the hot sun. What better way to continue your summer fun and your #NextBikeAdventure. View all the fun ideas and bike destinations in the latest Iowa Bike Guide or the Minnesota Bike/Hike edition. Then plan your next outing with family and friends at one of the HaveFunBiking Destinations. 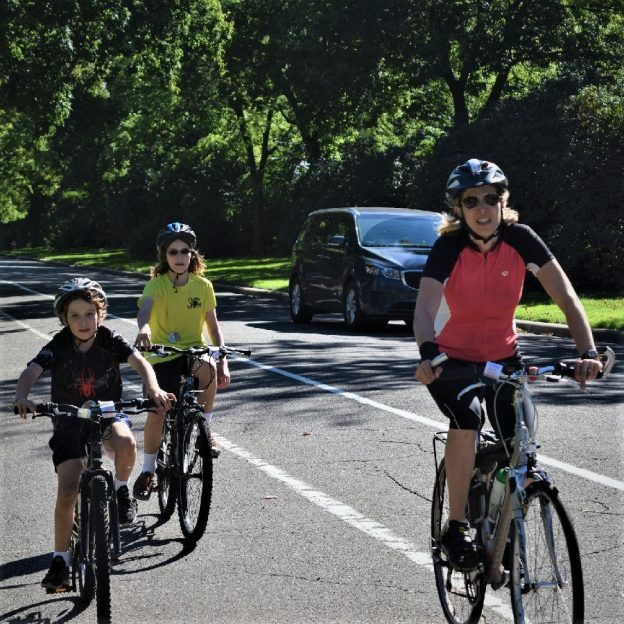 This entry was posted in Picture of the Day and tagged bike commute, bike minnesota, bike tour, bike touring, bike tourism, fun bike picture, Mississippi River Trail, pic of the day, pictureperfect, riding into the sun, road bike, St Paul MN, Summer fun, Summit Avenue Cruise on July 12, 2018 by Russ Lowthian. 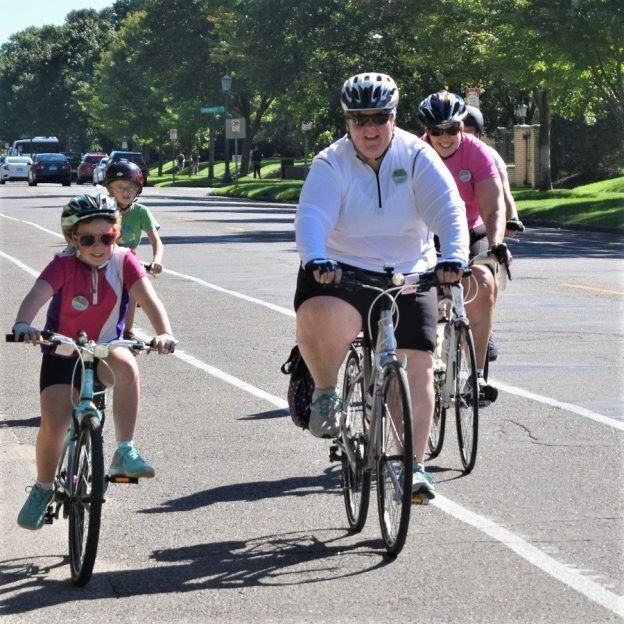 Today’s bike pic, we look at the fun everyone is having now that summer is here and it is a beautiful Monday morning ride down Summit Avenue in St. Paul, MN. Get into the zone and plan your next bike outing with family and friends at one of the many HaveFunBiking Destinations. View all the fun ideas and bike destinations in the new HaveFunBiking Guide. 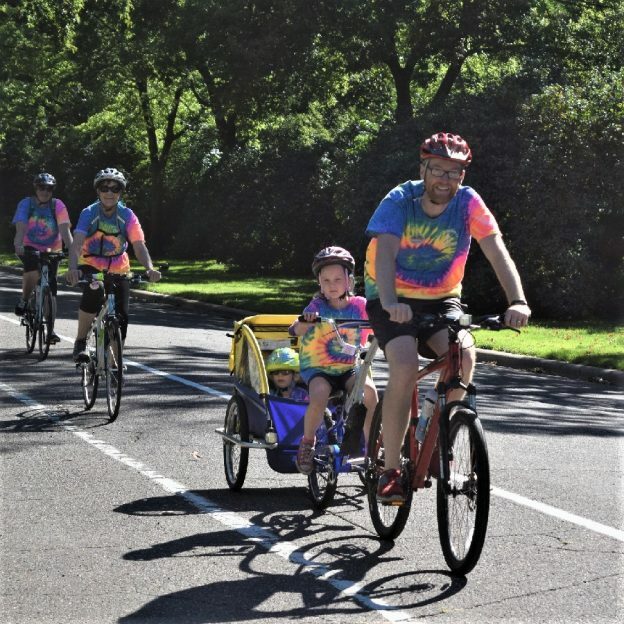 This entry was posted in Picture of the Day and tagged bike commute, bike minnesota, bike tour, bike touring, bike tourism, fun bike picture, Mississippi River Trail, pic of the day, pictureperfect, riding into the sun, road bike, St Paul MN, Summer fun, sun glasses on July 9, 2018 by Russ Lowthian. It’s Friday’s Bike Pic, so stay cool and ride off on another weekend of fun taking in that next bike adventure that maybe includes riding a bike designated roadway to connect to another trail. 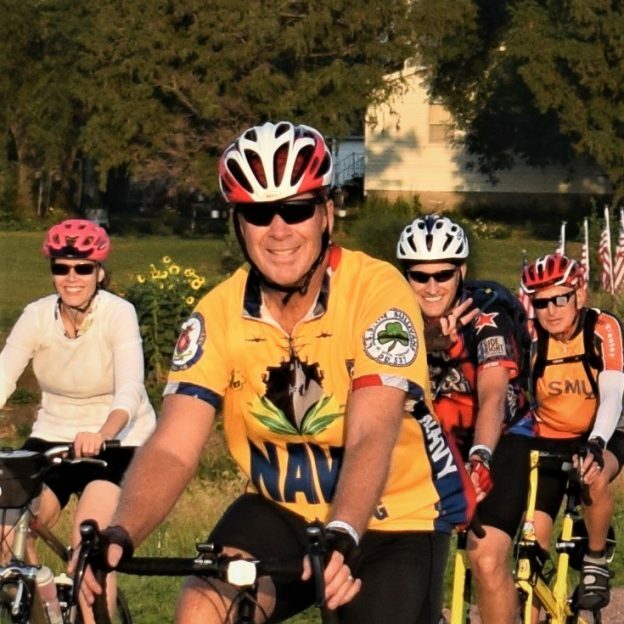 This entry was posted in Picture of the Day and tagged bike commute, bike minnesota, bike tour, bike touring, bike tourism, fun bike picture, Mississippi River Trail, pic of the day, pictureperfect, riding into the sun, road bike, St Paul MN, Summer fun, sun glasses on July 6, 2018 by Russ Lowthian. Here is today’s bike pic on this beautiful Saturday. Now that summer is here get ready for your #nextbikeadventure and make some memories. What better way to start your riding season fun then to plan your next adventure. View all the great ideas and bike destinations in the latest Minnesota Bike/Hike Guide. Then plan your next outing with family and friends in one of the HaveFunBiking Destinations. 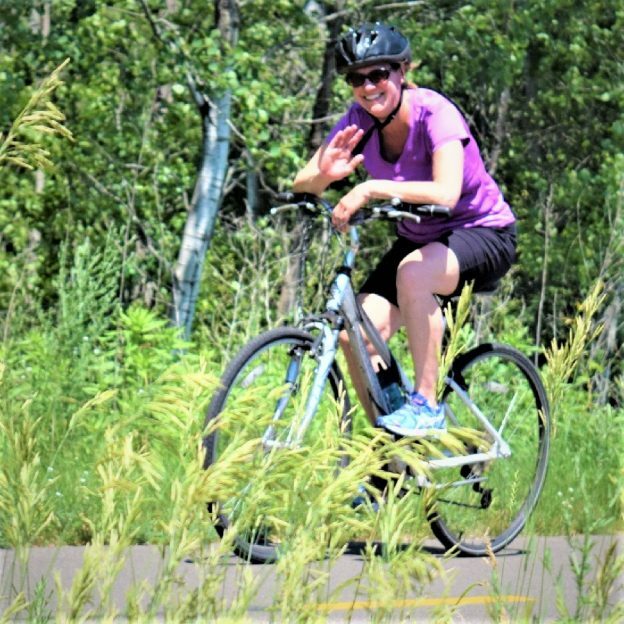 This entry was posted in Picture of the Day and tagged Bike chick, bike commute, bike minnesota, bike tour, bike touring, bike tourism, family fun, fun bike picture, Lake Wobegon trail, Minnesota trails, pic of the day, pictureperfect, St Cloud MN, Summer fun on June 23, 2018 by Russ Lowthian. Hopefully today is the last of this year’s spring rains, as summer is only two days away. 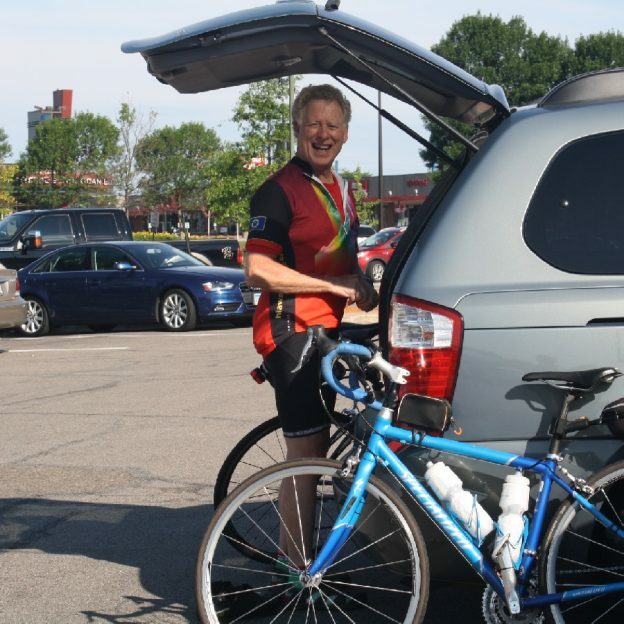 Here in this bike pic of the day we wanted to share a couple photos of riders in a past, from the former Minnesota Ironman Bicycle Ride, taken in Stillwater, MN. Hopefully today is the last of this year’s spring rains, as summer is only two days away. 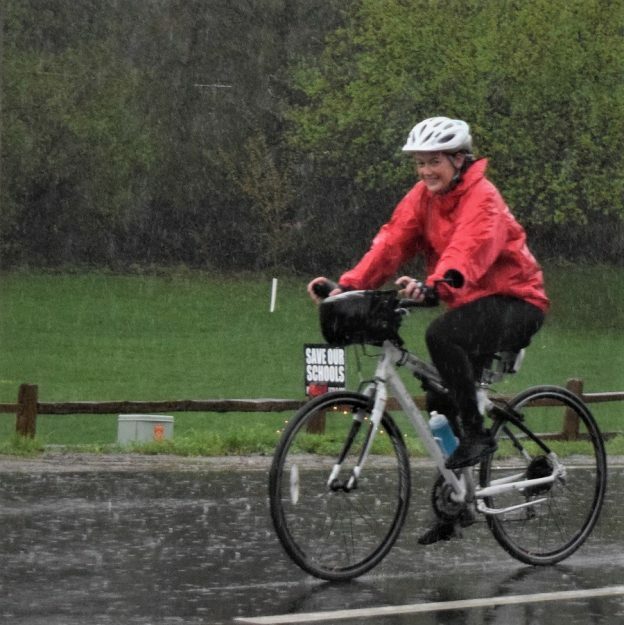 This entry was posted in Picture of the Day and tagged Bike chick, bike commute, bike minnesota, bike tour, bike touring, bike tourism, bike Washington County, celebrate spring, fun bike picture, Minnesota Ironman Bicycle Ride, pic of the day, pictureperfect, road bike, spring rain, Stillwater MN on June 19, 2018 by Russ Lowthian. Here is today’s bike pic on this beautiful Friday, where we caught this biker dude getting a head start on the weekend. This entry was posted in Picture of the Day and tagged bike commute, Bike dude, bike minnesota, bike tour, bike touring, bike tourism, celebrate spring, fun bike picture, Hiawatha Bike Club, pic of the day, pictureperfect, road bike, St Paul MN on June 15, 2018 by Russ Lowthian. Here is today’s bike pic on this beautiful Thursday. Now that school is out and summer is only a week away plan your #nextbikeadventure and make some memories. 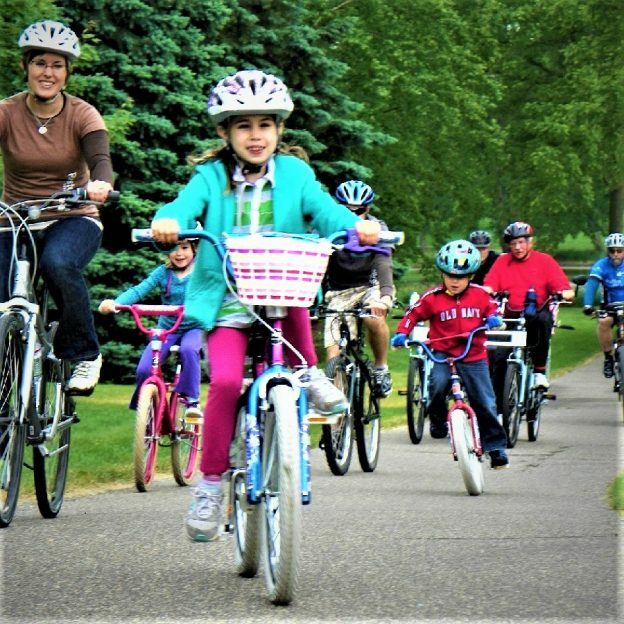 This entry was posted in Picture of the Day and tagged Apple Valley MN, Bike chick, bike commute, bike minnesota, bike tour, bike touring, bike tourism, celebrate spring, family fun, fun bike picture, Minnesota trails, pic of the day, pictureperfect on June 14, 2018 by Russ Lowthian. 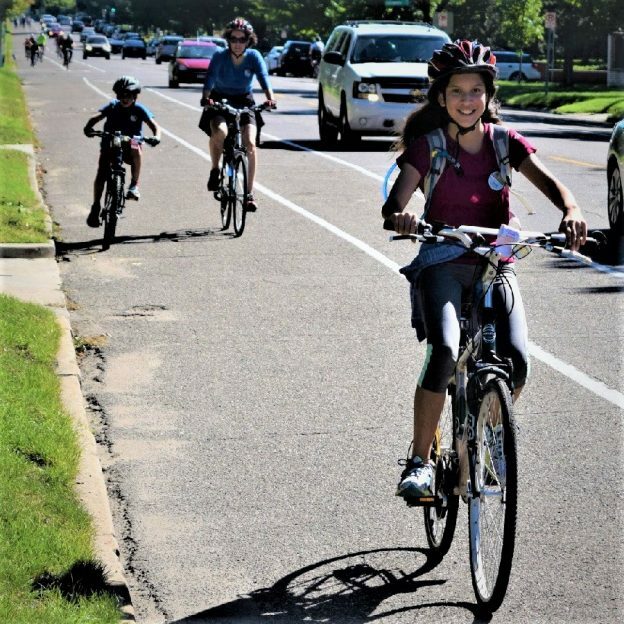 Here is today’s bike pic on this beautiful Tuesday, with this young biker chick enjoying an outing riding in St Paul, Minnesota. along the Mississippi River Trail. This entry was posted in Picture of the Day and tagged Bike chick, bike commute, bike minnesota, bike tour, bike touring, bike tourism, celebrate spring, fun bike picture, Mississippi River Trail, pic of the day, pictureperfect, road bike, St Paul MN on June 12, 2018 by Russ Lowthian. Riding into the Monday morning sun as our beautiful spring weather continues. This photo captured this bikers riding across Iowa on RAGBRAI 2017. 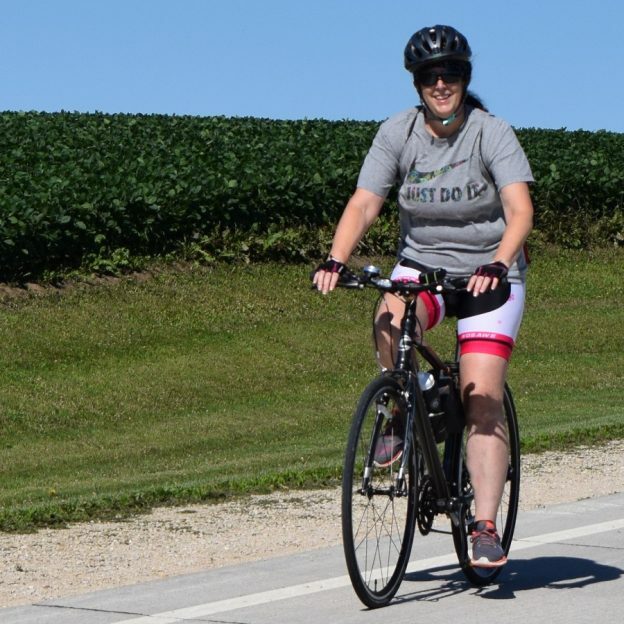 This entry was posted in Picture of the Day and tagged bicycle pic, bike adventure, bike commute, Bike Iowa, bike picture, bike tour, bike touring, bike tourism, biker chick, biker dude, pictureperfect, RAGBRAI, ride across Iowa, riding into the sun, road bike, sun glasses, travel bikes on June 11, 2018 by Russ Lowthian. Bike Pic June 9, it’s a perfect Saturday to ride – just do it! A picture perfect Saturday to ride, as this biker chick displays – just do it! This picture was captures last year in the Root River Valley, near Lanesboro, MN. 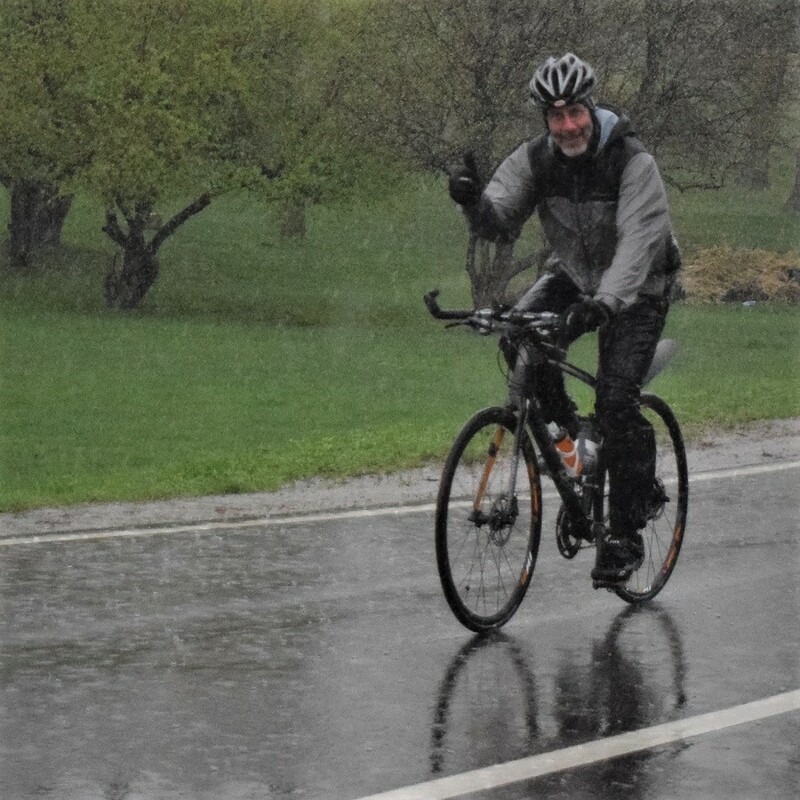 This entry was posted in Picture of the Day and tagged bike commute, bike minnesota, bike tour, bike touring, bike tourism, biker chick, celebrate spring, fun bike picture, Lanesboro MN, perfect Saturday, pic of the day, pictureperfect, road bike, Root River Bike Ride, sun glasses on June 9, 2018 by Russ Lowthian.